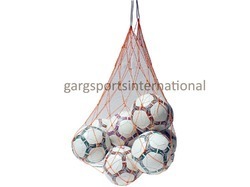 Our company is offering a wide assortment of Soccer Bags that are widely used in Sports Industry. These are manufactured with net and tetron and have been widely appreciated among our clients. Further, these bags are available in various sizes that can be customized to suit the diversified requirements of the clients. 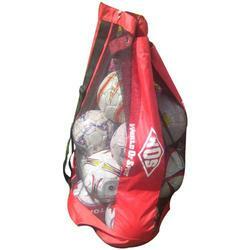 We are engaged in manufacturing, exporting and supplying a wide range of products like soccer bags. Holds 28 CDs. Special housing to protect contents. Quality zip and puller. Anti-static sleeves with longer durability and multi-colour for easy search.